and dividing it by two. First we draw a rectangle that just encloses the triangle. triangles which are the same size as the adjacent blue triangles. 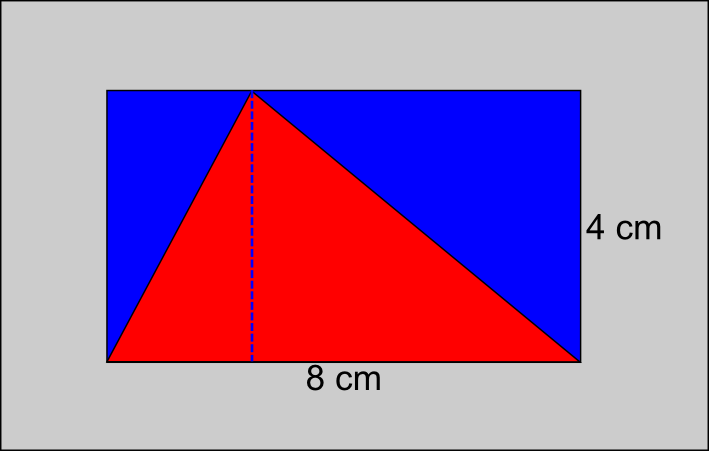 Obviously the area of the triangle is half the area of the rectangle. distance from the base to the top and not one of the sides.